The Ohio Mathematics Initiative (OMI) is a collaborative effort of mathematics faculty members from the state’s public colleges and universities and Ohio high schools that is revisiting and rethinking mathematics courses and curricula and the relationship of mathematics to other disciplines. One catalyst for the initiative is the need to better align course options to students’ academic and career goals. 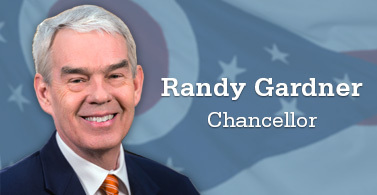 In addition, OMI is a response to the establishment of Ohio’s Uniform Statewide Standards for Remediation-Free Status, which guarantee placement into college credit-bearing courses for all Ohio students achieving at or above a benchmark assessment score and matriculating to an Ohio public college or university. Other drivers of this work are increasing difficulties with course and credit applicability within the Ohio Transfer Module (OTM) and the introduction of Ohio’s New Learning Standards for K-12 students. To develop expectations and processes that result in each of Ohio’s 36 public colleges and universities offering pathways in mathematics that yield: (a) increased success for students in the study of mathematics, (b) a higher percentage of students completing degree programs, and (c) effective transferability of credits for students moving from one Ohio public institution to another. 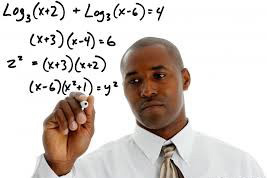 Develop high-quality entry-level courses and pathways connected to coherent academic programs of study for students majoring in mathematics, other mathematics-intensive majors and academic majors that are not mathematics intensive. Develop policies and processes that foster effective transfer of course credits while encouraging course innovation on all public campuses. Support constructive engagement of mathematics chairpersons and faculty within campus communities and across campuses to shape curricular policy, improve instruction and bolster student support and advising. Develop high-quality measures for improving mathematics course offerings and instruction; and collect, analyze and share relevant data. Improve student success in college-level mathematics courses by aligning postsecondary expectations and high school practice.